Message to parents, beware: Surgeons in Schneider Children's Medical Center operated on a year and seven months old baby. They removed a chain of about 40 magnets out from inside him. The toddler was admitted to the pediatric ward and underwent an x-ray clearly showing a chain of beads in his stomach. At first the chain was thought to be made out of plastic beads, so the doctors waited for the beads to come out of his body naturally instead of performing an unnecessary operation. But after a while, there was no improvement and the beads did not proceed to exit the body. 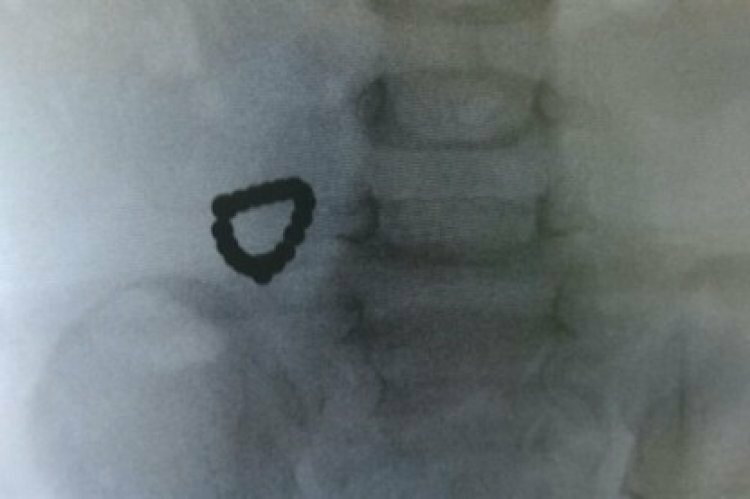 The surgeons feared the chain was made of magnetic beads, which could block the intestine and they decided to operate. "The danger of swallowing several magnets at once is that the magnets may catch two intestinal loops between them," explained Dr. Adriana Nika, a surgeon who was part of the team of doctors who operated on the baby. She said that in this baby the magnets actually did cause a hole in his intestines, but since the operation was quick and all the magnets were removed in time, they prevented a serious necrosis that "can cause severe infection in the abdominal cavity" from happening. The infant is now recovering from the operation and will be transferred to the surgical department for further treatment. In the meantime, the doctors call out to all parents and ask: "These magnets should be kept away from small children, and if you suspect they swallowed a foreign object, you must take them to the hospital immediately."